Creating Hi-Def Audio with Multiple Phones, for Easy & Powerful Multi-Tracking, Anywhere. Audiohand music app aligns recordings uploaded from multiple devices to the millisecond, automatically mixes them together, producing one high-quality, shareable MP3. Audiohand music recording app connects up to as many phones or devices as you want! The more audio sources recording the same event, the better resolution your sound becomes. 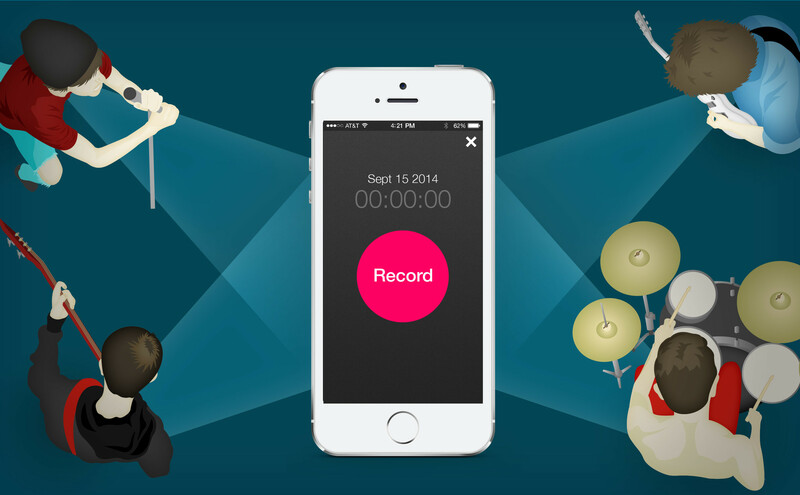 Place your phone (or phones) near an instrument and join a session in Audiohand. Audiohand magically aligns each recording to play in unison. Audiohand then mixes, noise reduces, and polishes your audio. When finished, you get your mixed, polished, shareable MP3 to keep!